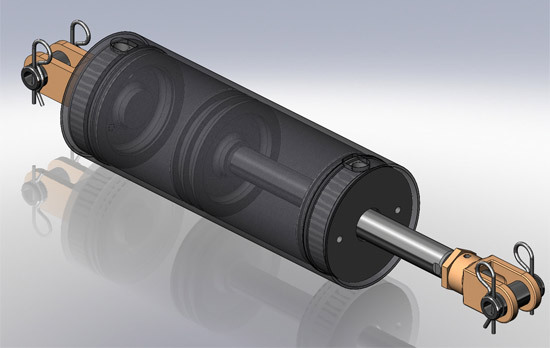 High strength materials including composites are used to make extremely lightweight pneumatic cylinders. Applications for these cylinders include a variety of over the highway vehicles primarily used for hauling and dumping. These cylinders are able to withstand the extreme temperature swings and rigors of highway use while cutting down on fuel consumption due to their light weight.